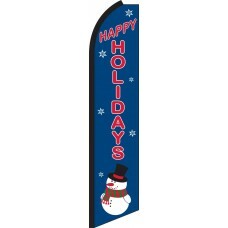 If its that time of year again, and you are looking for something to spruce up your shop or business, then one of our Holiday Swooper Feather flags may be the perfect solution. You will always find plenty of people in the festive spirit, so by displaying one of the Holiday feather flag, you are spreading holiday cheer and giving prospective customers even more reason to notice your company. 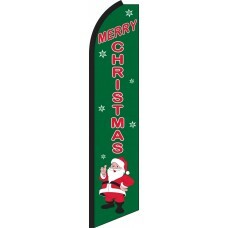 We offer two two different Holiday and Christmas designs to choose from, each of which can be used to create a destive decor around your business or along the roadside.